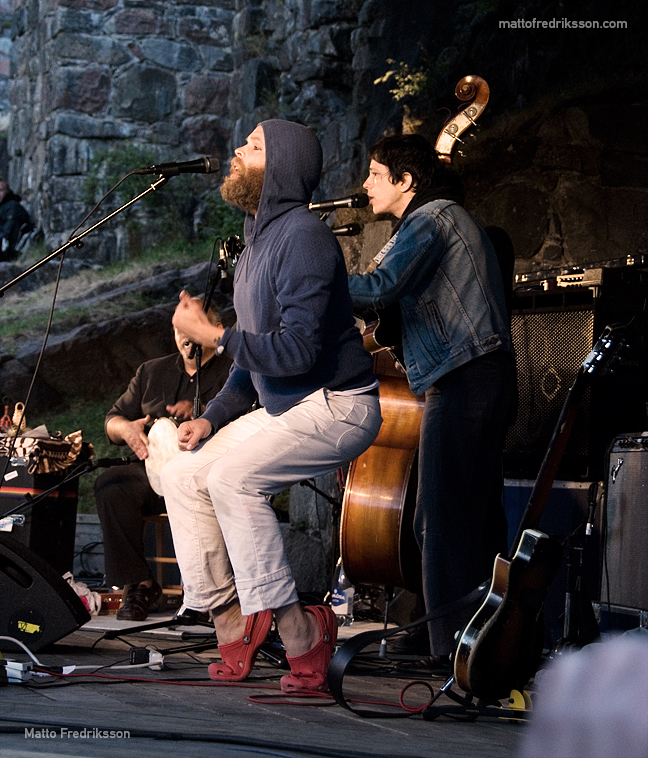 Bonnie “Prince” Billy live at Bohus Fästning, Sweden. In the main set they played “I see a darkness” which created an extraordinary momentum which totally captured the audience. The song was followed by the cover of R. Kellys “The Worlds Greatest” and it was the greatest ending of the main set anyone could imagine and everyone in the crowd was dancing and cheering. All the three (!) encores were great. Including the one with Nicolai Dunger (where N. Dunger sung and played guitar, while W. Oldham sung some backups). This one came out a little flat…but I like it anyway.